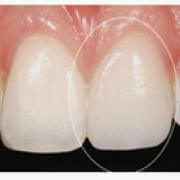 These are tooth replacements taking support from the adjoining natural teeth to replace missing tooth/teeth. The adjoining teeth should be healthy and have a good gum and root support. 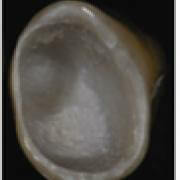 The fixed bridges are cemented to the tooth and cannot be removed by the patient. There are various types of materials that can be used to make bridges/crowns like ceramic, non-precious metal, precious metal, acrylic, newer composites. These are titanium tooth supports, which are surgically fixed into the jaw to replace missing teeth. Once embedded into the bone, they serve as supports to the crown and bridge. This procedure is the best alternative for patients not comfortable with conventional dentures but have healthy gums and adequate bone to support the implant. 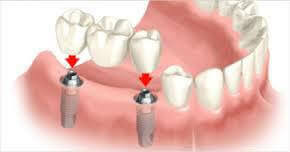 The advantage of this system is that it does not require reduction of any natural adjacent teeth. A denture is a set of removable artificial teeth that rests directly on the gums and may sometimes use support of implants. These may be used to replace one or all missing natural teeth. I consulted Dr Ratnadeep Patil when I was suffering from a condition (constant bilateral eye pain)related to TemporoMandicular joint ) which couldn't get identified and treated by other doctors. I had made visits to multiple specialists across the country. I was severely depressed at that time. I must confess that it was the first time I got hope that I could live a normal and healthier life. Dr Ratnadeep Patil is a highly knowledgeable and confident doctor who also posses the key qualities of a doctor i.e. patience, understanding patient's problem, providing comfort to the patient and giving ample time to him/her. 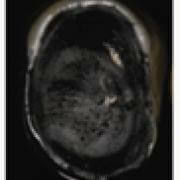 For the treatment of this condition, I had made multiple visits to the doctor and found him to be same as he was during the first visit. Slowly, my condition started improving and now I can say that I do not have any eye pain from past 6 months. My life has changed now. I would also like to acknowledge that not only Dr Patil but all staff members of his clinic are highly experienced and more importantly, are good human beings. Dear Dr Ratnadeep Patil, My congratulations to you for your dedication and professional capability in establishing an institution like Smile Care. Your personality seems to infuse the place as I remember all the warm and smiling faces that always welcomed me during my numerous visits. The quality of your work and your team's work was excellent and caring. After many years my bite is normal. My heartfelt thanks to you and Dr.Dimple who looked after me with great care and skill. And a special thanks for the gratis enamel on my two front teeth. I come to Smile Care Clinic because everyone does a fabulous job, especially Dr Ratnadeep Patil and Dr Anjali Dilbhagi. The reception staff are very efficient with appointments and reminders. I totally recommend Smile Care for all your dental work. Indeed, a great & happy experience to visit Smile Care for an annual dental check up. Needless to mention appointments are respected & there is no waiting. The place is neat & clean with a warm welcome! 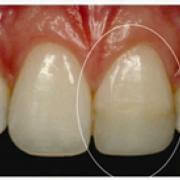 No commercial angle while treatment as you are informed of details with mirror to self-recognise status of your teeth. Then treatment from you Dr Aditi is ever soft & tender May God bless you & your team at Smile Care! I have the upmost respects for the medical staff at Smile Care. I am a longtime patient, I can truly say I have had a positive and satisfactory results here. Your staff has a personal touch especially Dr. Anjali and are extremely professional- Dr. Patil. They will make sure you are comfortable with your procedure and take time with each case. They have always been clear and concise with what my procedure would entail and communication is always very clear. Friendly, positive and dedicated are words that come to mind when thinking about the staff at Smil Care. I would definitely highly recommend and have recommended Smile Care.